The votes are in. The fans love NASCAR’s favorite lovebirds. As part of USA TODAY’s ‘Ad Meter: Year in Sports’, fans were given the chance to vote on numerous categories … including ‘The Best Sports Couple of 2013‘. The winner? 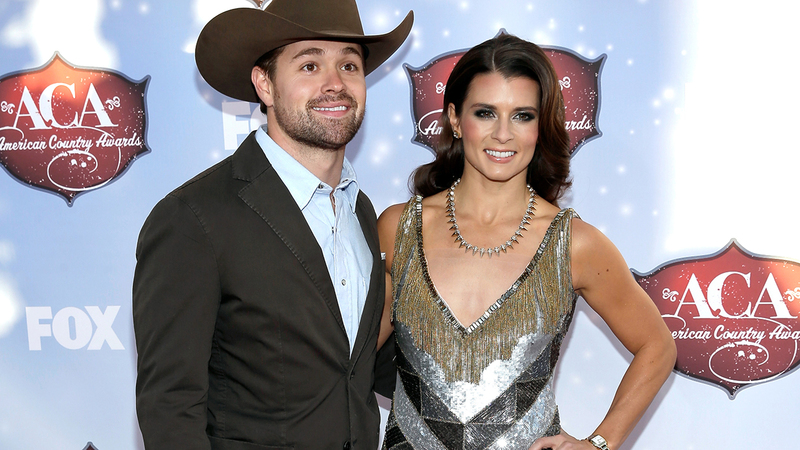 Ricky Stenhouse Jr. and Danica Patrick. In one of the closest votes in Year in Sports, the NASCAR duo benefited from the sport’s massive social media presence. Danica and Ricky edged out what was our initial favorite in Tiger Woods and Lindsey Vonn. The story of these two, who not only are dating, but competed for NASCAR’s Rookie of the Year Award and on the track every single week, was a popular one both in and outside of racing. Patrick has an opinion on how the two were able to come out on top. Brad Keselowski was also nominated in the ‘Best Athlete on Social Media‘ category. Kes finished in 2nd place … right behind American gymnast McKayla Maroney. We assume Keselowski was not impressed.